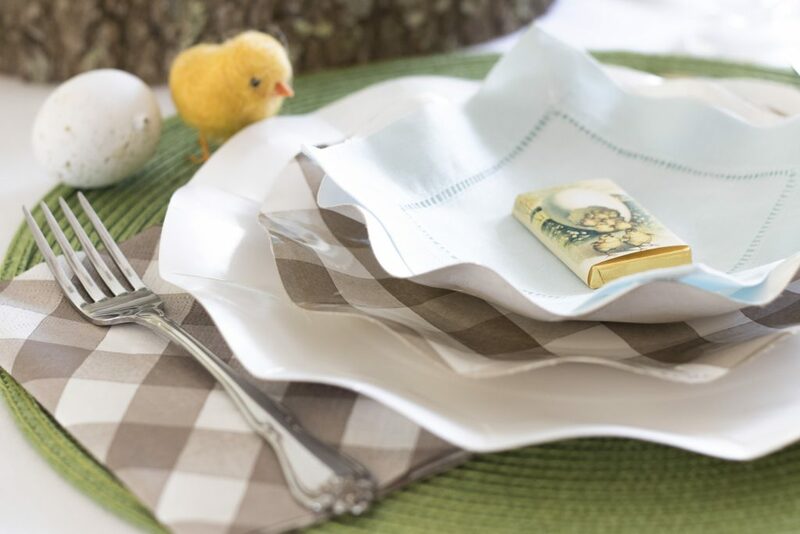 Simple Easter table setting: it seems as so many families are tying to live minimally that does not leave room for the traditional sliver, china and crystal. 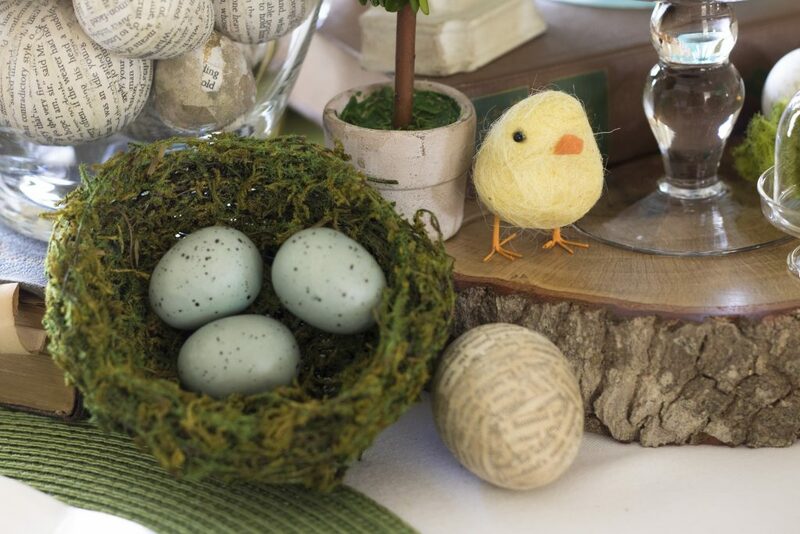 These lovely paper substitutes will definitely help set simple Easter table settings. 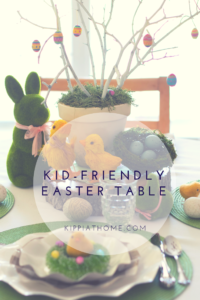 We used them in this table setting for Easter, but they are 100% neutral. I cannot wait to use them for our fall table. 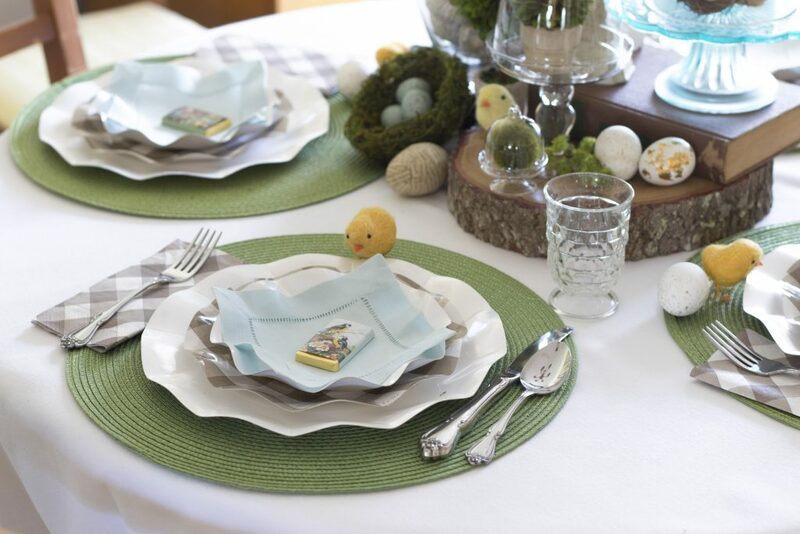 Easy and pretty table settings with paper plates and napkins. 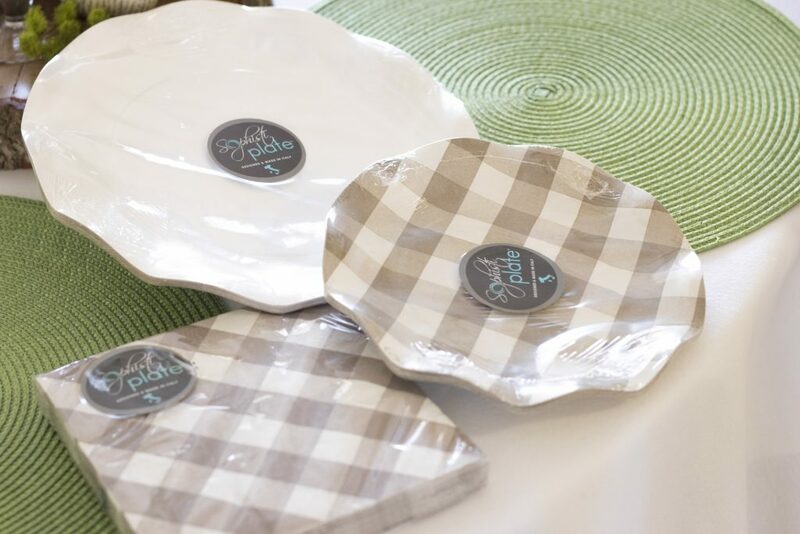 We purchased the grass colored placemats, paper plates and napkins from a local antique mall. All the other items we already had on hand. We added organic items and layered until we were happy with the overall look. Adding some meaningful items: great-grandmother’s books, wood slices from a tree we cut down. 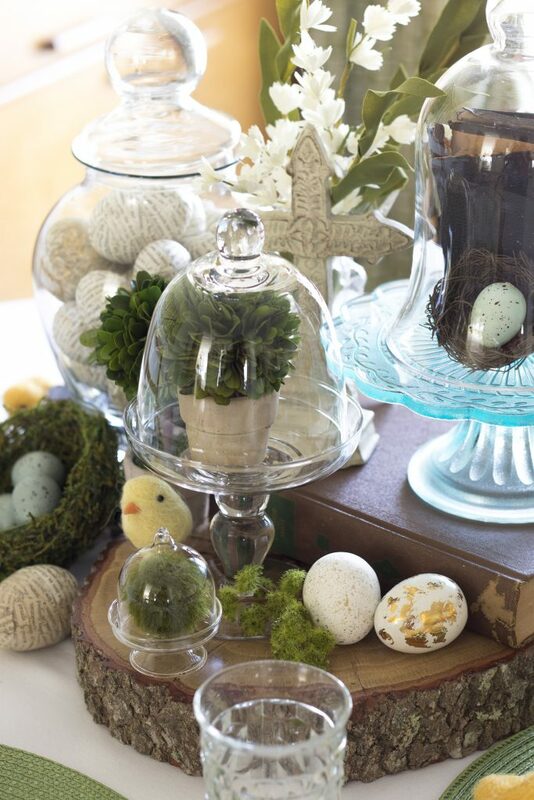 We decoupaged some plastic eggs and placed them in an apothecary jar. 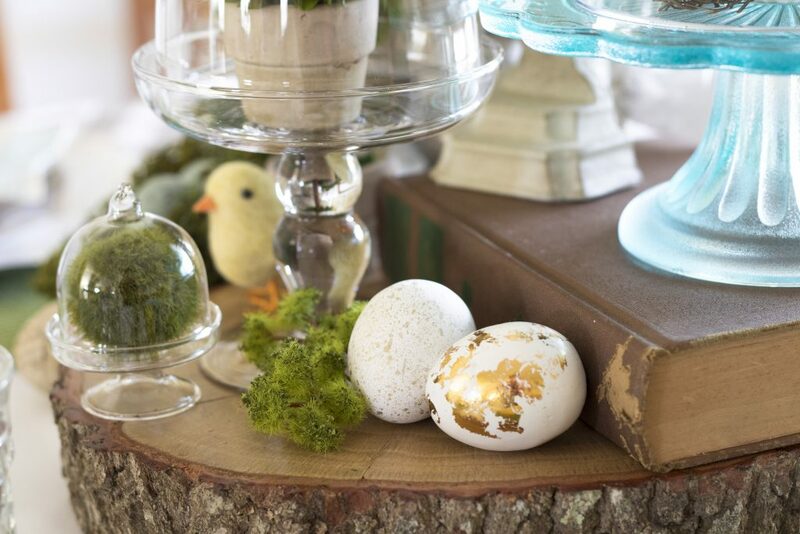 The cute bird nests, eggs and chicks have been placed all around the tablescape so all the guests can see something special. 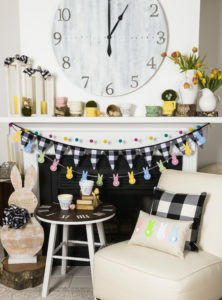 This was so much fun to create with items we already owned combined with the purchased paper plates and napkins. 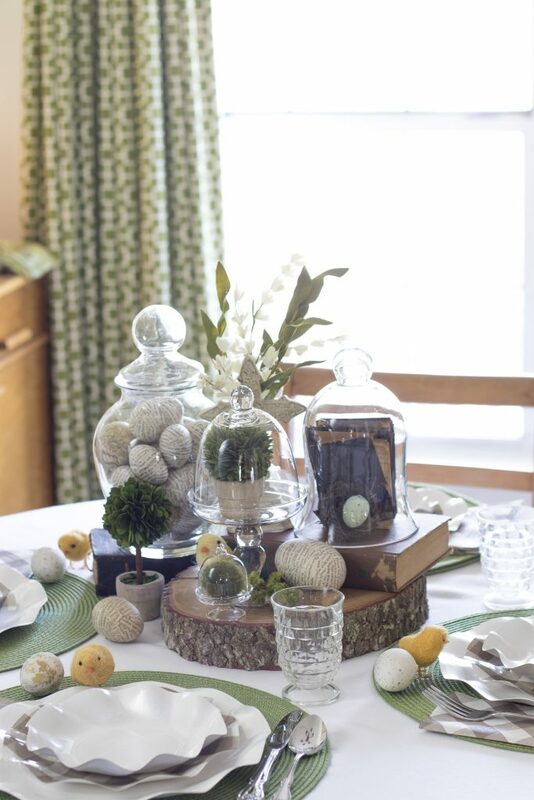 We used cloches, boxwoods, birds nests, chicks, moss, antique books, and floral picks. 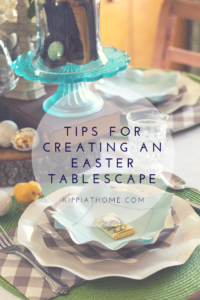 Simple Easter Table settings with items gathered from around your home and yard are easy and budget friendly. 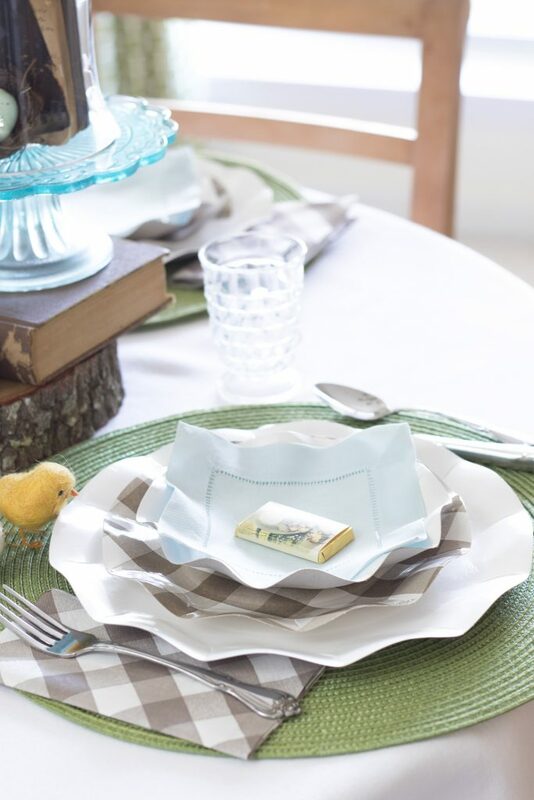 The addition of the linen cocktail napkin adds a little sophistication to the place-setting. 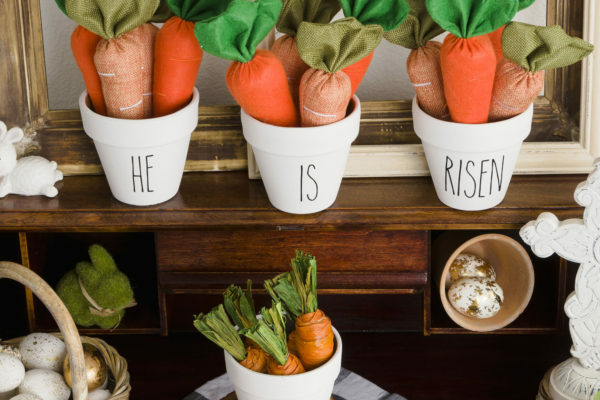 Each setting has a chocolate candy with an Easter greeting on each. See kid friendly option HERE. Thank you so much for stopping by. I hope you are enjoying spring as much as we are over at Kippi at Home. 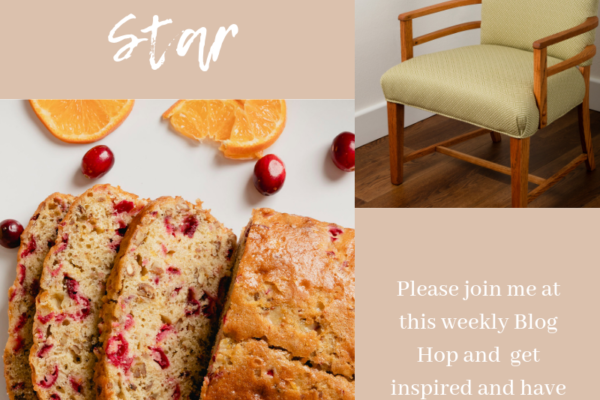 Decorating, creating, and cooking for our spring home and menu! 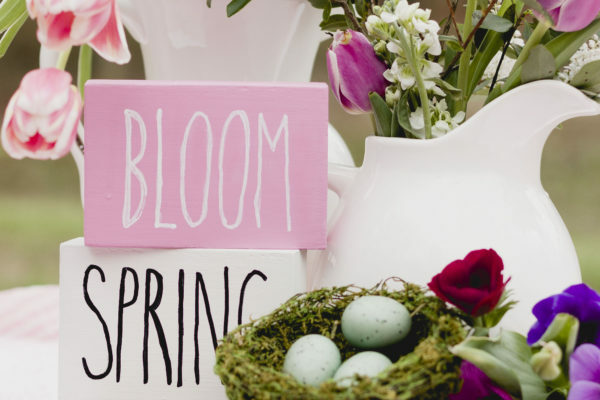 What are you doing to get ready for spring and Easter? Please say hello in the comments below love to hear from you.